Wow a very busy few weeks with us, catering for various occasions. Weddings, Dinners and a Private house party in Salcombe for a week. It's always great to do different types of events and means we get the opportunity to cook in varied settings as well! Our week at The Moult in Salcombe was a lovely way to enjoy what seemed to be the last few days of summer. 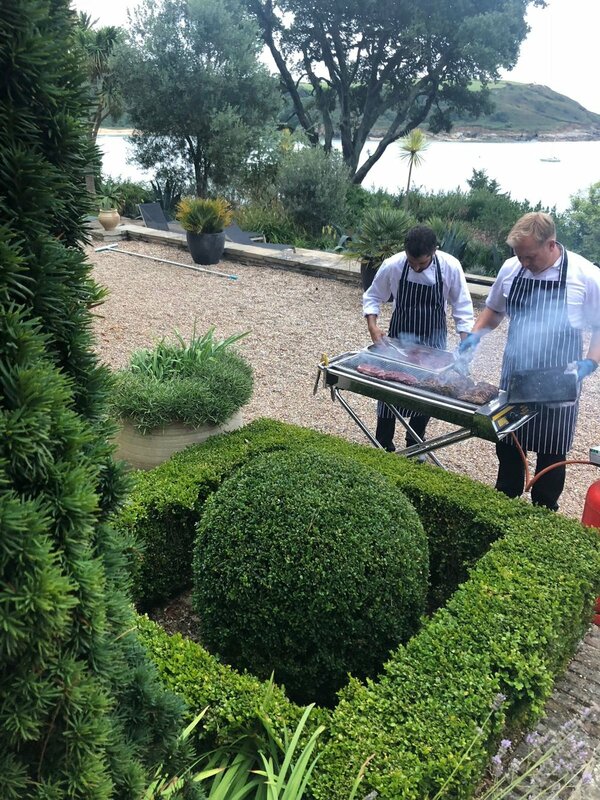 We catered for 24 people starting with Sunday lunch, then on through the week with various canapes, local lamb, red mullet escabeche, and chateaubriand with all the trimmings. Finishing the week off with a bbq overlooking the sea, not bad really!